At the end of March the State Council released a lengthy document outlining the five year plans for various sectors. For health, the only thing that really made the headlines was the announcement that China would double the number of doctors between now and 2020 (actually I don't think they actually said this - they meant they would try increase the number of available doctors per thousand population). 2. Introduce direct billing of medical expenses. 4. De-link drug profits from doctors' income and reduce drug prices. 5. Increase fees for medical services paid make up for drug price curbs. 7. Accelerate the setting up of medical dispute resolution mechanisms prevention. 10. Strengthen the prevention and control of major diseases. 11. Promote use of Chinese Traditional Medicine. In addition, the State Council said there would be a need for more hospitals, with a target of six hospital beds for every 1000 people (up from 4.55 beds per 1000 people in 2013). Workforce will be expanded, aiming to increase the number primary care doctors from 1 to 2 per 1000 people and increase the number of nurses. 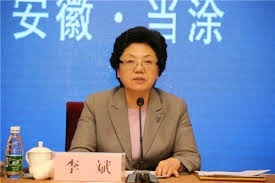 According to the BMJ, the government also aims to retreat from health service provision (almost 90% of China’s hospitals are public) to “policy-making, overall planning and supervising, to make sure the medical system benefits the public, while the market will decide the distribution of medical resources,” the statement said. The plan states that 1.5 in every two beds per 1000 people should be provided by the private sector by 2020. The current move to reduce restrictions on restrictions on foreign investor involvement in the healthcare market will continue.